“I get the ‘Why do we care’ note a lot, so I need to learn why. For this story, I’m thinking, how is an audience not supposed to care if there is a 7-year-old who’s being haunted by something and whose life may be in danger? Then I’m thinking, the stakes are that Levi, the older brother is the only one who takes the problem seriously. So doesn’t he have to do something about it? If he fails, his brother’s life will continue to be in danger and he may even be damaged by the well-meaning treatment his parents make him endure. Also, Levi jeopardizing his scholarship and college plans in order to help. Isn’t that more stakes? Great questions, G! Let’s dive in. Stakes are, in a nutshell, whatever the main character stands to gain or lose, pending the outcome of the story. We often think of stakes in terms of the negative consequences that will come to bear if the character fails to achieve his goal. But what’s at stake can be something positive too, i.e. winning a coveted job or award. We talk about stakes in terms of what’s “at stake” in the story. As in, the protagonist’s life is at stake, or the safety of her child is at stake, or the character’s happiness is at stake if his team doesn’t win the big championship. Some stakes are more effective than others, which we’ll get into in a moment. Why do writers need to consider story stakes? 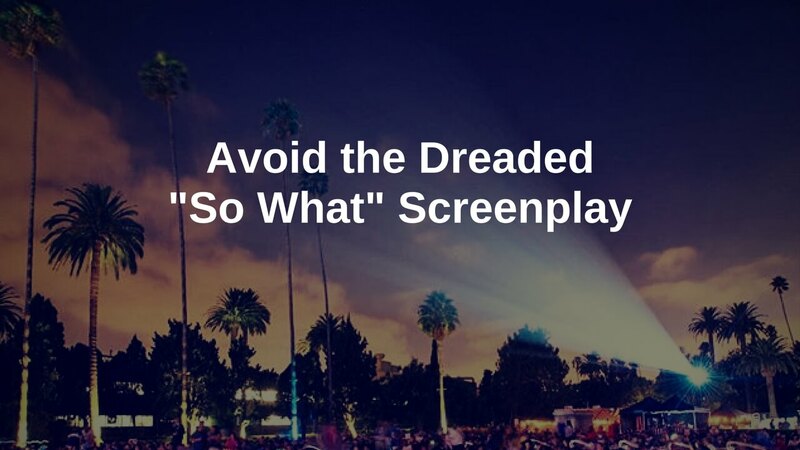 Stakes are a big factor in making the audience care enough about the story to stay on the ride. Yes, a likeable or interesting character can hook the audience initially. But we need a reason to care about the story. That’s what keeps us watching (or turning pages) – because when we care, when we’re invested, we feel compelled to see the outcome. This is where story stakes come in. When you hook us in and then make us care about the situation, we feel compelled to stick around. We need to know how it will all turn out. Dreading the worst and hoping for the best – this is the tension that keeps us hooked, on the edge of our seats, and paying attention. Not only do we need to understand WHAT will happen (how the stakes will play out), we need to understand WHY these stakes matter. It’s the why that makes the story stakes effective. Depending on the nature of what’s stake, we need to see how the main character, some specific community, or society at large will be affected, should the stakes come to bear. And you’ll need to show us in the screenplay whoever it is that will be affected by the stakes. Give us an emotional understanding of what the impact will be. That’s how you make us care. 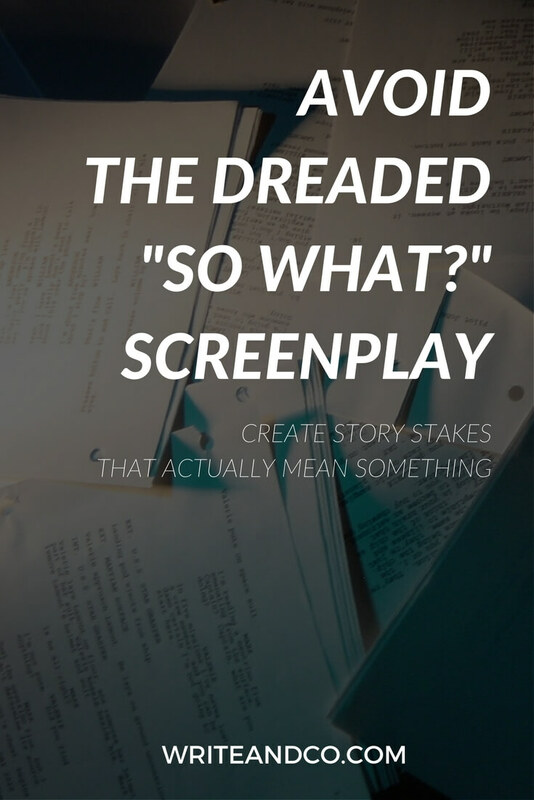 Creating the context to convey that potential impact is the screenwriter’s challenge. Just like dramatizing everything else in the story. Telling us the stakes exist isn’t going to do the job. We need to feel that tension of dread and hope, and that happens when we experience what’s at stake through the characters in the story. If ever there’s a time for show, don’t tell – this is it. It’s true that the life of a child hanging in the balance can be very effective story stakes. It worked in Taken, right? But there are a couple of differences in the circumstances of these stories. 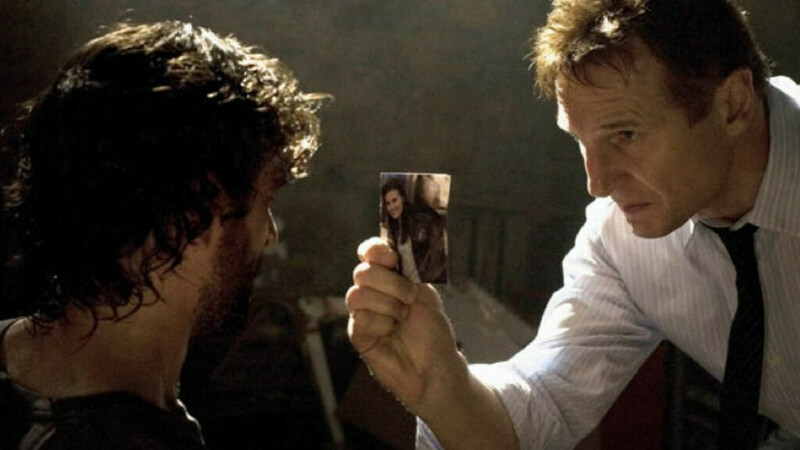 In Taken, the main character is the father of the endangered child. That’s a relationship that we understand immediately. We understand how devastating it would be for a parent to lose a child. As Blake would say, it’s primal. In G’s story, what’s at stake is the mental health and possible safety of the main character’s younger half-brother. What keeps this from feeling as impactful as G is hoping is that we don’t automatically look at sibling relationships the same way that we look at parent-child relationships. We don’t assume that an older brother — especially a teenager who (as described earlier in the story) has some conflicted feelings about his stepmother and perhaps his family in general — has that same level or type of dedication toward his brother. That’s not to say the little brother’s life can’t mean a lot to the main character. But we need to be shown. If we won’t assume a fact, we need to be presented with evidence of it. The writer’s job of showing us exactly why it’s so meaningful – why we should care – will be a little tougher. G will need to create more context in Act 1 so we get fully on board. So we understand exactly and specifically why this older brother needs to keep his little brother from harm. The WHY of these stakes could be a number of things. Maybe what’s happening to little brother will tear Levi’s family apart, and that’s what Levi’s trying to avoid. Maybe Levi feels like a failure at everything in life except for his relationship with his little brother, so his self-worth is at stake. Maybe Levi won’t be allowed to go away to college if little brother’s problems persist, so his future hangs in the balance. Whatever it is, it will need to be firmly and clearly established so that the audience gets why achieving the goal (saving his brother) is so important to Levi. In stories, it’s usually not enough to tell us “a child might be in danger.” We first need to understand the stakes are a definite outcome, not a maybe outcome. And we need to understand what effect that outcome will have on the characters in the story — particularly the main character — in order to get us fully invested. A parent-child relationship is like a shortcut to meaningful stakes, that’s why we see it so often. When we’re looking at stories where a loved one’s life is the story stakes, the parent-child relationship is a gimme. A “weaker” familial bond can be just as effective, but requires the writer to do more work up front to establish the relationship as vital to the character(s) so it will have the same emotional impact on the audience. The last part of G’s question: “Levi jeopardizing his scholarship and college plans in order to help. Isn’t that more stakes?” brings up another important aspect of the story stakes conversation. When we say something is at stake, it means that it is dependent on the outcome of the goal, i.e. whether the goal was achieved or not. In the example G points out above, his character’s college plans aren’t dependent on the character achieving his goal. The character risks his college plans in order to pursue the goal. That risk has been taken and its consequences will play out on their own, regardless of whether the character wins or loses at his primary story goal. That’s a small distinction, but one it’s still good to recognize. That the character is willing to risk his college plans does show us how committed he is to achieving his goal. Adding costs of participation like these is a great way to increase the stakes throughout a story. But the initial story stakes – the main thing that is “at stake” and making us care about the outcome – has to actually be dependent on the outcome. Otherwise, we wouldn’t feel very invested in the outcome, because there wouldn’t be anything truly riding on it. We need to see a clear connection between the outcome of the goal and the story stakes in order for them to be effective. Binge some episodes of the show Chopped. That’s right – the cooking competition show. The producers of Chopped totally get story stakes! Each episode of the show presents four new competitors. They’re chefs who are there to compete in just one episode. 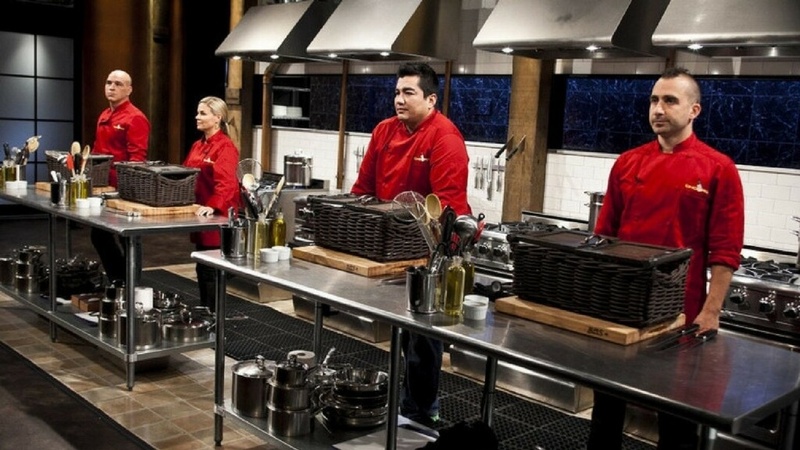 To get us to care about the outcome of each new episode, the producers have to show us what each of these chefs has at stake – why it matters to them to win today. For some, it’s to prove to their families they made the right career choice. For others, it’s to finally have enough money to buy an engagement ring so they can do right by that ever-supportive girlfriend. For still others, it’s a chance at redemption after having failed in previous endeavors. Watch just a few episodes and you’ll quickly see it’s never about the title of Chopped Champion. It’s about what that title means to that chef. That’s what’s really at stake. Think about the last movie that really had you at the edge of your seat. What’s the main story goal? What will the consequences be if the protagonist fails to achieve that goal? For whatever it is that’s “at stake” in the story — what does that mean or represent for the main character? WHY does he care so much about it? How does the movie show this? What are the clues that convey this meaning to us? Have more questions about story stakes? Join the discussion in our Facebook Group!